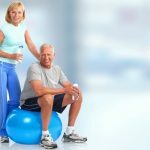 Physical activity has many profound benefits to your health but one that we often ignore is aging. Exercise can have a substantial impact on the aging process in your body, at a cellular level. 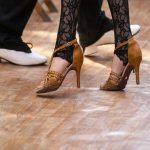 In a recent study, which looked at the relationship between exercising and cell damage, it was found that those who participated in regular activity had longer telomeres in their cells. Telomeres are tiny caps found on the end of DNA strands, similar to plastic aglets on shoelaces. They are believed to protect the DNA from damage during cell division and replication. If you wish to keep telomeres in tip-top shape, it’s time to get active! Squatting in particular is excellent for anti aging. It helps to strengthen your lower body as well as building your core too. Squatting is really beneficial for strengthening your knee joints. With stronger bones and cartilage around your knees, it means you will be able to stay mobile for longer. Also, in later life the risks of falls, knee pain, and immobility will be lessened. Squatting is also a large compound movement that demands more oxygen to perform than smaller isolation exercises. This improves your cardiovascular health due to increasing your oxygen uptake capacity, which is also beneficial for slowing down the aging process. A strong, healthy heart means a longer life! Tai Chi is often known, as ‘meditation in motion’. It unifies your body and mind in a series of controlled movements and stretches. Tai Chi has a number of benefits that directly help with slowing down the aging process. Older age puts you at greater risk of injury due to falling. Tai Chi promotes balance and works wonders in terms of preventing falls and imbalances. Tai Chi also helps to enhance your mood and promote lower levels of depression, stress, and anxiety. A recent study on the effects of Tai Chi on depression and mood disorders discovered a reduction in depression and improved physical functioning on those who performed Tai Chi as part of a program. Running provides your body with an excellent form of cardiovascular activity. 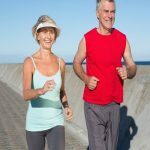 The great thing about running as an anti-aging exercise is that it can have a direct effect on your brain and its aging processes. Aerobic exercise such as running and/or using the elliptical machine, which simulates running in a low-impact way, can help to prevent age-related breakdown of your brain tissue. It also helps to improve the cognitive functioning of your brain too. A protein called cathepsin B has been examined by researchers. They have found that cathepsin B levels significantly increase when humans run, especially consistently over the course of about four months, showing enhanced memory recall. Myostatin is naturally released as a means of inhibiting the amount of lean muscle tissue we are able to develop naturally. While this is a positive concept for the most part (after all, too much muscle would place a severe amount of strain on our internal organs) it does carry with it some downsides. Lean muscle tissue is actually very important for supporting our skeletal structure. Should we be in any way diminished in our ability to achieve the highest levels of lean tissue possible to protect and support our frame, this could prove disastrous as we advanced in age. Through performing regular resistance training, we are actually able to lower the amount of “free” myostatin circulating within our system at any given time – this means that we can essentially protect our skeletal structure more optimally over a prolonged period of time. Considering that we are able to achieve less and less as we age in terms of lean tissue development, this actually makes regular resistance training essential for safeguarding against issues with our skeletal structure. Swimming is such an excellent form of exercise because it delivers you a whole host of benefits. It works your whole body from top to bottom as well as being low impact meaning your joints don’t get battered. Swimming is great for combating the effects of anti-aging not only because it’s an excellent form of cardiovascular activity but it also improves your posture, mental functioning, and is also great for stress reduction. It’s simply a super all-rounder! Also, one that you can keep up in later life! Yoga is also a great exercise for anti-aging. It throws together breathing control, meditation, stretching, and flexibility into one beneficial exercise. Because of the mind and body balance yoga provides, your body can enjoy muscle strength and tone in abundance. It also improves respiration, energy, and vitality. Yoga can also enhance the workings of your metabolism as well as helping you to manage your weight as well as your cardio and circulatory health. HIIT is deemed the number one exercise for holding back the aging process. This is because training like this actively helps to reverse the declining ability of our cells to generate energy. In a study conducted at the Mayo Clinic in Rochester, Minnesota it was found that Interval training boosted the ability of the mitochondria within cells to generate energy by 69 percent in older volunteers, and by 49 percent in the younger group. The participants who performed interval training also saw surges in lung, heart, and circulation health. It’s understandable you are probably reading this because you want to do the best for your body. You don’t have to let aging take control! By partaking in the above exercises, we can assure you that you will make a noticeable difference to both your body and mind. Start performing some of these immensely effective forms of exercise today and start seeing the benefits to your vitality immediately. You’ll wish you’d started years ago!